“This reminds me of how I grew up,” said Hawaii County Mayor, Billy Kenoi, as he toured the rustic facilities of Bellyacres, an ecovillage in the Puna jungle of Hawaii. After hearing how just a few complainers had been able to cripple our community development model, he told me he learned at law school that the purpose of the law was to serve as a shield, not as a weapon. This has not been my experience. The problem is that the Special Permit I obtained in 2000 only allowed performance arts workshops and farm activities with building permits for S.P.A.C.E., four houses, and a workshop. Over nearly three decades, we had built a dozen jungalows, community kitchen, sauna, showers, and three extra houses, plus almost every service we provided our broader community was non-compliant. Being this far outside the law, we became severely vulnerable to attack from anyone with any kind of a grudge against our organization, our activities, or our personalities. In a world where it is impossible to keep everyone happy all the time, especially irrational neighbors, we were an easy target and we have now literally broken apart under the weight of the laws that have been used as weapons against us. It is my belief that the complaint-driven system of enforcement has been at the root of our collapse. This process, which exists almost everywhere in the US, enables alternative groups like ours the freedom to live in non-compliance with building and zoning codes and activities until someone files a complaint. The system gives amazing amounts of power to the complainer(s). The original complaint that brought our demise was instigated by a newcomer to our neighborhood who said applause at our shows “interrupted his TV viewing.” He boasted he was “at war” with us and, since he hired a top local law firm, the Planning Department issued us a “cease and desist” order. To this day, our ecovillage has never received a single warning or citation from the police for any noise ordinance violations or disturbances; ironically, the only person arrested by the police was this same neighbor for domestic violence. One month after launching his “bombs,” our new neighbor moved away to work in the Pentagon (honestly). Within a year, he sold his house with a promise that the war was still on and he would file a contested case hearing. He left our whole community to deal with the fallout. We were encouraged that 979 of our ecovillage supporters responded immediately by signing a petition; many also called the Mayor, and 423 supporters later submitted written testimony and spoke at hearings praising our ecovillage. We became a test case for the legalization of sustainable community living on our island, which caused us to be subjected to continual opposition and road blocks from County and State agencies. It has been five years and at least three feet of legal paperwork and we still have not had our Planning Commission hearing. We learned that once complaints have been filed (and if they continue to be filed, even from a very few vocal opponents) the authorities feel duty-bound to impose the law to its full extent to eliminate all non-compliant behaviors. They need to do this to protect themselves from being sued for not doing their legal duty. This applies even if they are aware that the complaints are frivolous, fraudulent, or purely vindictive, which dozens were. My six-year-old daughter’s birthday party, which was attended by 30 of her kindergarten friends and finished at 5:30 pm on a Sunday, had a complaint filed, as did a memorial service for a 21-year-old resident killed by a hit-and-run that ended at 7:30 pm, also on a Sunday. As the ecovillage founder and point person for all legal and financial issues, I have spent 18 busy years, and way too much of my energy, struggling to bring our organization into compliance, either by modifying our buildings and activities to fit into existing legal boxes or applying for Special Permits and State Land Leases or by attempting to get new laws adopted through the democratic process. I have now stopped this futile pursuit: I left my home of 28 years, moved with my family of seven, and found a good job as a development consultant for another nonprofit in an affluent community that has a legal structure and permits for its activities. I feel that I can now focus on building community instead of struggling with the law. The sad fact is that grassroots sustainable community developments seldom conform to existing building codes or zoning codes. Even sympathetic and supportive members of the government bureaucracy have no boxes to put us in to rubber stamp our activities. Years of wishful searching online for models of legalized sustainable living that we could adopt produced just a few exciting prospects. I found examples of groups circumventing laws through the grace of supportive local government officials, I found councils that passed bills to allow a specific alternative development, and I found Earthship’s Sustainable Development Testing Sites Bill (which has benefited only them). 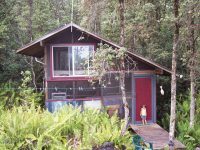 I found alternative building codes in Humboldt, Cochise, Nevada, Mendocino, and other counties for single family residences. I researched worldwide and all I found were communities like us struggling to find solutions to legalize truly sustainable lifestyles. My research also unearthed endless government rhetoric spouting the benefits and challenges of sustainability. Hawaii State government adopted a grandiose “Sustainability 2050 Plan” in 2008, and has implemented very little, while Hawaii County adopted a resolution in 2009 that realistically warned “from a sustainability perspective, the problem is that we are creating ongoing structural barriers that actually prevent people from being able to meet their own needs. These barriers…include the abuse of political power and discriminatory government policies.” Hopeful that local officials actually supported sustainability principles and would be excited about models practicing sustainability, I brought every elected official I could to visit our ecovillage and see what we were doing. It seemed like everyone was impressed. We received recognition letters from our State Governor, Lt. Governor, two Federal Senators, and two Congressional Representatives. The Chairman of the County Council testified before a 2012 hearing, initiated to revoke our Special Permit, saying “This is exactly the kind of community development that should be duplicated around the island, not shut down.” The Chairman of the Planning Commission had also visited our ecovillage and was another supporter. We had a partial victory: our existing permit was not revoked. We were front page news in our local newspaper two consecutive days and the struggle continued. We had hired the best lawyer in town and together we worked hard on a creative application to amend our Special Permit to include all the activities our local community desired us to provide. We also proposed modifying the system for dealing with complaints. We engaged in numerous lengthy meetings and endless dialogues with our neighbors, County officials, and other local groups confronted with similar situations to ourselves. The Planning Department and the Department of Public Works were uncooperative: just when our lawyers thought our application was complete, they asked us for an unnecessary “Traffic Impact Analysis Report,” then took forever to review it and request changes. It appeared they had every intention of stalling us until we died. We recognized that the Special Permit process itself was flawed and so I founded and became President of the Hawaii Sustainable Community Alliance, an association of like-minded people (see www.hawaiisustainablecommunity.org) with a mission to change existing laws. We had powerful and productive board meetings every other week, and built a coalition of over 600 sustainable community advocates and 30 local organizations. Being highly motivated, we successfully petitioned our County Council to pass a resolution in 2011 requesting our building department “to establish an alternative building code.” We submitted a draft bill and even got a County Council member elected on the basis of his support for this reform; however, nothing ever happened. The administration just ignored it, claiming it was under review (apparently indefinitely). In 2012, we succeeded in the passage of our second County Resolution, which requested the State legislature to support a Sustainable Living Research Site bill. We campaigned hard to get our local health food store owner elected as our State Senator. He’s been a consistent supporter of all sustainability efforts, he plays Jerry Garcia in our community Grateful Dead cover band, and he introduced our Sustainable Living bill in the State Judiciary. That season, the bill passed through all four committees in the House, but was tragically killed by the chairwoman of the first Senate committee, who had a severe dislike for Grateful Dead-loving Senators. In 2014, after a lengthy, tiring, and well fought campaign by our HSCA membership, the bill passed, almost unanimously, through all eight committees in the State House and the State Senate. We were jubilant and excited at the prospect, not only of having the first legislation of its kind in the country, but at the thought that it would enable all ecovillages and sustainable communities in Hawaii a chance of becoming legal without compromise. Sadly, it failed because the same Senator that killed the bill previously was chairman of the conference committee assigned to resolve minor amendment issues and she refused to give it a hearing, thereby killing it again. That event ended any faith I still had in the democratic process. Concurrently with this process, we had an ongoing application with the Hawaii Department of Land and Natural Resources to lease a parcel of land adjacent to our community upon which we had illegally encroached with driveways, a horse corral, and a few jungalows in the early 1990s. The lease could have resolved these legal issues and given us a productive means to work within the system. I had successfully completed this application in 1998 and it went to the State Board for approval, but was tabled due to a review of nonprofit leases. It soon appeared to be forgotten so we let sleeping dogs lie and all was well for the next 14 years. In 2010, a disgruntled ex-employee of our organization decided to use our encroachment on the State land as ammunition against us and, after he recruited the help of two loud and unsavory political wannabes, some complaints were filed and we reinstated the lease process. With the requirement for a detailed environmental impact assessment and opportunity for public input, the lease proved impossible due to the intensity of complaints by the same small faction lodged against us. It was irrelevant that the complaints were mostly frivolous, fraudulent, and vindictive, and we submitted great rebuttal letters. We initially had the cooperation of State officials who visited and admired our community project, but eventually, when they faced being exposed for bending the rules and risking their jobs to help us, they turned against us and we ended up being fined $53,000 and were given 90 days to remove all encroachments. This, of course, was seen as absurd by everyone in our neighborhood, except a tiny minority, but it became the final blow in our community’s effort to survive. Adding to the fear factor were erroneous Ethics Commission charges filed against our nonprofits, the HSCA, the Senator who introduced our bill, and the Planning Commission Chairman who had previously supported us. Needless to say, the charges were all dismissed; however, they caused us considerable stress and some feared that other threats made by complainers would even result in one of our members getting deported from the US. Our ecovillage land trust has had a consensus-minus-two decision-making process since 1987 but we never had to deal with anything like the major issues that this State judgment brought upon us. About two-thirds of our 30 geographically-dispersed members who participated in the email dialogue chose to acquiesce to the demands of the State Land Use division. About a third of us believed that we should at least attempt to stall them by using the law as a defense. We proposed sending a letter asking the State of Hawaii to prove that they had legal jurisdiction and clear title to this parcel before we would take any action to comply with their judgment against us. The basis for this is the growing education taking place in Hawaii regarding the fact that under US law there never was a treaty of annexation with the Hawaiian Kingdom to make it a State of the Union and under international law there is a presumption that the sovereign State of Hawaii still exists under occupation by the US. This may be hard for anyone subjected to the official US version of history to accept; however, if you go to www.hawaiiankingdom.org/blog you can learn about the true legal status of Hawaii and current initiatives to rectify the illegalities. Our ecovillage membership was totally divided on this issue and we never reached a consensus-minus-two agreement in accordance with our bylaws. The fun that originally brought us together had been replaced by fear. There is a fear amongst some that continuing complaints from the tireless few would cause the authorities to make us remove every single unpermitted structure on our land. Our own members have now demolished structures: perfectly good, sustainable cabins and community facilities in the face of fines and threats of further government action. The impact of our struggle for legalization has worn us down, stressed us out, destroyed our morale and, over time, created such a climate of fear amongst many of our ecovillage members that they have voted against us even having our own family birthday parties or celebrations on our own property—all totally legal activities. Without the fun community gatherings that originally brought us together and glued us together for nearly three decades, our intentional community experiment is dying. Along with the three dozen members of my ecovillage and the hundreds of community neighbors, interns, and visitors who lived with us, I believe that we were pioneers in a movement that the world needs in order to thrive sustainably. The struggle for legalizing sustainable living is happening in many sectors of society by many people, in many ways. My greatest hope is that others will continue with this work and find success, because ecovillages and intentional communities have huge contributions to make to society’s search for better sustainable lifestyle practices. Graham Ellis was an idealistic visionary when he founded Bellyacres ecovillage in 1987. He also founded Jugglers for Peace, Hawaii’s Volcano Circus, the HICCUP circus, and the Hawaii Sustainable Community Alliance. He has been a champion for grassroots developments and has had great adventures pursuing a community-based sustainable lifestyle for 28 years. He now lives happily with his family of seven in a conventional home and works for a mainstream nonprofit organization that operates 100 percent legally. To paraphrase Thoreau: What’s the use of building a home, a family, a career, a life…if you don’t have a decent civilization to plant them in? Graham, I am saddened that you were unable to manifest the right numbers of the right kinds of people at the right times to provide sufficient and necessary support to enable you to live such a courageously sane, principled, soul-guided life without having had to expend so much of it in defending yourselves from ignorant unevolved government mafia ego-entrenched troglodytes. After I first took LSD at age 25 in 1986, I knew there was no way that I would attempt to live by the false satanic fascist zionist rules of money, rent, taxes, war, control, lawyers, politicians, liars, demons and devils of this demonocracy. As the Chinese sage observed,”If we do not change our [principles, priorities, purpose, and] direction, we are bound to end up where we are headed.” This satanic structure is going the same route as the Roman Empire, the Nazi Third Reich, etc. After my initial LSD journey, I then understood far better many of the admonitions of Jesus: Be in the world, but not of it. Lay not up for yourselves temporal treasures of the earth which moth and rust may corrupt, and thieves break in and steal…and do not be so much concerned about what you will eat tomorrow…see the birds on the wing, and the lilies of the field, who neither spin nor sow nor toil nor reap, yet not even Solomon in all his splendor/luxury was arrayed in such finery as these…and does not the eternal Omniscient ever-present innate Real One care at least as much for you??? In othed words, in order not to be another unconcious “snowflake in an avalanche” of deceit, deviltry, and destruction, I have eschewed marriage eschewed child-begetting, and sought instead the truth…which sets us free from insanity, vanity, suffering…yet my own ego-structure keeps tripping me up, even if/when I’m not dealing with all those external alleged ‘authorities,’ ‘experts,’ assholes, etc. Aloha Graham. I would like to add the fact that multiple micro businesses were created at space, including my bakery, of which at least a handful became brick and mortar shops or online successes. This in a very economically depressed time and place. What a shame. I hope that some of these things will spawn other communities here and elsewhere. I hope one day to do something similar but I will be very cautious to expend the love and energy required without assurance that I will not be harassed. Thanks for sharing the story, and I’m glad for your new gig. Graham, you had a tremendous amount of tenacity to work as long as hard as you did to make Belly Acres not just sustainable but legal. I had so many good times there and appreciate all you did for so many people. Hope you have a lot less stress now and can live without the fear of small minded neighbors and Big Government hanging over your head. There are places where zoning laws and building permits do not exist. The community of Nasalam is located in a county in the Ozarks where this is true or we would have had to deal with the same issues described in the article. Having lived in Hawaii and still being involved with issues there, I think it is unwise to place faith in the sovereignty movement as it is based on unsound legal arguments and is being led by some dishonest people. I agree that humanity seems to be on a downward spiral that may not end until everyone is a slave, but I do have faith that it is worth the struggle to maintain centers of Light that will keep alive the vision of a better world. Thanks for sharing your story Graham. 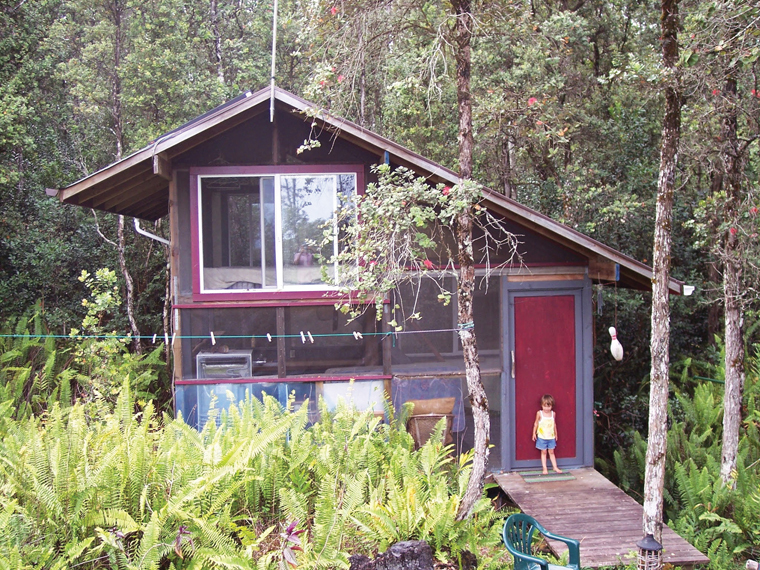 Unforunately, particularly in modern times, it is almost impossible for intentional communities to co-exist within a state. For the most part because a legal / monetary structure is imposed upon the community, even though the community may not be compliant. This is by no means a modern problem, and is indeed the basis of the foundation of the USA. It is also the foundation of why many countries struggle for independance. This goes all the way back to when some leader stood on a piece of ground, thrust a stick with a piece of rag attached to it into the ground, and declared “This Is Mine”. That land ownership was the beginnings of the evolution of law, money, and subjugation. So, why not repeat the process within the community, by declaring independance from the state, where the laws and taxes of the state do not apply. If you like, an independant zone. The logic being that the land does not belong to the state, it belongs to the people, so you are only claimimg what is rightfully yours. The trouble is, that on a bigger picture, this has been tried many times before, and generally results in conflict. And in that conflict, as in natural territorial conflicts within the animal kingdom, generally the stronger prevails. What that means for us, is that the state will deploy police, army, courts, etc to prevent this course of independance. Hopefully one day, when humanity has evolved enough, the basic human right of having the freedom to live how you want to, will be recognised. Those that want to live within a prescribed system of governance and laws have the right to do so, but those that don’t also have the same inalienable rights. Under the much vaunted democracy, we all must live by the prescription of the perceived majority. There is no room for dissenters.